1911: Clyde V Cessna, Enid OK & Rago KS. 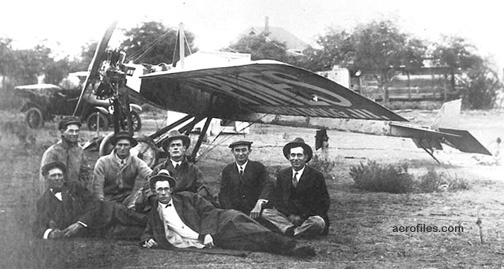 1925: Formed Travel Air Corp with Walter Beech and Lloyd Stearman. 1927: Cessna-(Victor) Roos Aircraft Co, 1520 W Douglas Ave, Wichita KS. 1928: Cessna Aircraft Co. 1930: Reorganization. 1931-33: Suspended aircraft production during the first of the Depression. 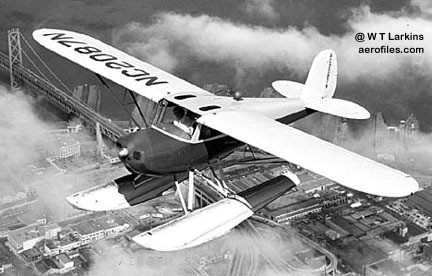 1933: Cessna Aircraft Co. 1936: Clyde Cessna retired, sold interests to nephew, Dwane Wallace. 1986: Lightplane production ended. 1992: Textron-Cessna Inc, Independence KS. 1996: Lightplane production revived. 1911 (Enid) = 1pOmwM; 60hp Elbridge water-cooled. Clyde Cessna's first airplane, a Blériot-style home-built. POP: 1. 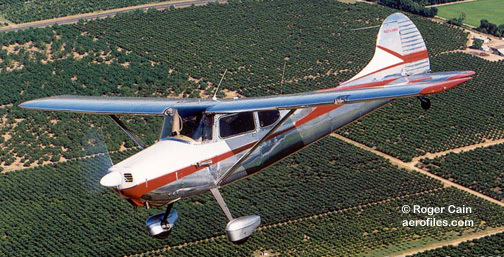 14 other Cessna varieties followed before commercial production began. 120 1945 (ATC 768, TC 5A2) = 2pChwM; 85hp Continental C-85-12/-12F; span: 32'10" length: 21'6" load: 665# v: 123/106/42 range: 420. Essentially a spartan version of 140. $2,495-2845; POP: 2,164. Innovative feature was a spring-steel landing gear, designed by Steve Wittman, who had used them on his racers. 140 1945 (ATC 768, TC 5A2) = 2pChwM; 85hp Continental C-85-12/-12F; span: 32'10" length: 21'6" load: 665# v: 120/105/40 range: 420; ff prototype [NX41682]: 6/28/45. Offered starter, generator, lights, flaps, and rear windows. $3,245-3,345; POP: 4,881 (?>5,542 (perhaps includes some A models?)). 140A 1949 (TC 5A2) = 90hp Continental C-90-12/-14F; v: 123/106/42; ff: 1/x/49. Single strut, metal-clad wings. $3,695-4,495; POP: 2,843. 140B 19?? = Prototype for planned 140C, with rounded tail and large 170B-like flaps. Flight tests showed that its round tail was inadequate in size, and the ship couldn't be certified. 140C - Cancelled production after 39 square-tail fuselages were built, then stored until 1959, when they were used for the first production 150s. 150, Aerobat (TC 3A12, 3A13, 3A17, 3A19, A13EU) 1959 = 2pChwM; 100hp Continental O-200; span: 33'6" length: 21'7" load: 630# v: 125/122/54 range: 550 ceiling: 12,650'. Standard, Trainer, and Commuter models, the principal difference being less useful load for the latter two. 1960 Patroller version had Plexiglas doors, 38-gal fuel capacity, and a message chute. Aerobat was optional aerobatic trainer version. Models built from 1965 on had swept tail fins. $6,995 ($7,295 in 1960); POP (1959): 683 (c/ns 17001/17683), (1960): 334 (c/ns 17684/59018). Series discontinued in 1977. Also produced in France as F-150. Thanks to David Gampfer for major data research on 150s! 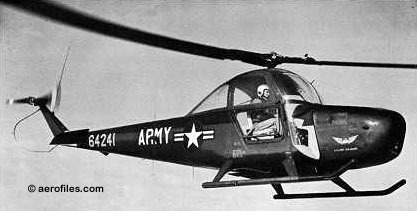 150A (TC 3A19) 1961 = Revised panel, adjustable seats; main gear moved aft two inches. $7,945-8,995; POP: 332 (c/ns 59019/59350). 150B 1962 = New prop, longer spinner; contour wingtips; ceiling: 12,950'. $7,945-8,995; POP: 350 (c/ns 15059351/15059700). 150C 1963 = Revised panel. $7,775-9,435; POP: 387 (c/ns 59701/60087). 150D 1964 = Single side window, "Omni-Vision" wraparound rear window; revised nose gear; gross wt: 1600#. $7,824-9,495; POP: 685 (c/ns 60088/60772). 150E 1965 = Bucket seats. $7,835-9,525; POP: 760 (c/ns 60773/61532). 150F 1966 = First of the swept tails; wider gear track, enlarged doors, electric flaps, new engine mounts. $6,995-9,275; POP: 3,000 (c/ns 61533/64532). 150G 1967 = Widened cabin with more headroom, windshield defroster, revised heating system; alternator. Optional floats. $6,995-9,550; POP: 2,666 (c/ns 64533/67198). 150H 1968 = Wing strut fairings; revised flap system, revised panel; v: 122/117/x range: 565. $7,295-10,195; POP: 2,110 (c/ns 67199/69308). 150J 1969 = Revised panel, key starter. $7,995-11,390; POP: 1,820 (c/ns 69309/71128). 150K 1970 = Cambered wingtips, interior redesign, optional skylight windows. $8,350-11,725; POP: 875 (c/ns 71129/72003). A150K Aerobat 1970 = Shoulder harness, G-meter, jettisonable doors; v: 120/115/x range: 565. $10,495-12,685; POP: 226 (c/ns A0001/A0226). 150L 1971 = Larger dorsal fin and rudder, tubular main gear with 7'7" track and redesigned wheel pants, nose landing light; revised upper panel. $8,895-12,350; POP: 625 (c/ns 72004/72628). Production totals for 1972: 1,030 (c/ns thru 73658) and 6 USAF to Ceylon [72-1464/1469], 1973: 1,192 (c/ns thru 74850), 1974: 931 (c/ns thru 75781). 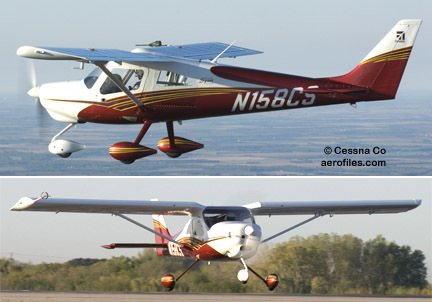 A150L Aerobat 1971 = $10,995-12,935; POP: 50 (c/ns A0227/A0276). Production totals for 1972: 734 (c/ns thru A0342), 1973: 87 (c/ns thru A0429), 1974: 94 (c/ns thru 0523). 150M 1975 = The omega model, replaced by 152. Larger fin and rudder, shoulder harnesses, new avionics. POP: 1,278 (c/ns 75782/77005). Production totals for 1976: 1,446 (c/ns thru 78505), 1977: 900 (c/ns thru 79405). A150M Aerobat 1975 = $13,325-18,825; POP: 86 (c/ns A0524/A0609). Production totals for 1976: 75 (c/ns thru A0684), 1977: 50 (c/ns thru A0734). 152 1978 (TC 3A19, A13EU) 1977 = Updated version of 150; 110hp Lycoming O-235; span: 33'3" length: 24'1" load: 552# v: 127/123/49 range: 478 ceiling: 14,700'. Also available in aerobatic version as Aerobat. 160 1962 = 5pChwM; 125hp Franklin 4A-225; span: 34'7" v: 134 range: 384. Gross wt: 2050#. A military version with 210hp Continental was proposed as 160M, but never built. POP: 1 [N5419E]. 170 1948 (ATC 799) = 4pChwM; 145hp Continental C-145-2 (O-300-A); span: 36'0" length: 25'0" load: 1015# v: 140/120/52 range: 500+; ff: 2/6/48. Enlarged version of 140. 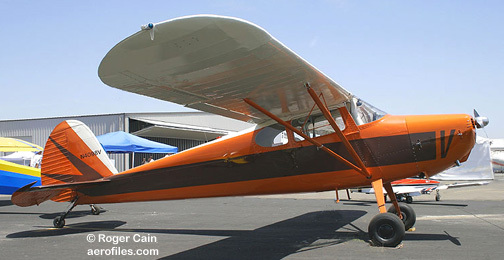 Double strut, fabric-covered wings, metal fuselage, no dorsal fin; conventional spring-steel "taildragger" landing gear. $5,475, $8,295 in 1956; POP: 714 (?>729); first 2 prototypes (c/ns 18001/18002) were scrapped sfter testing and production began with c/n 18003. 170A 1949 (ATC 799) = C-145-2/-2H; all-metal with dorsal fin, single wingstrut. $5,995; POP: 1,522 (?>1,538). 170B 1952 (ATC 799) = C-145-2/-2H or O-300-A; single strut, metal wings with larger flaps, increased dihedral, semi-Fowler flaps, modified elevators. $7,245-8,295; POP: 2,903 (?>2,903), of which one was fitted with a tricycle gear in 1956 as prototype for the 172 series [N9202A]. Production began with s/n 20267. New pressure cowling, stiffer gear legs in 1953. Rear window squared off in 1955. Swept-tail introduced in 1960. 170C 1956 (ATC 799) = No data. Possibly not built. 172, Skyhawk, T-41, Hawk XP (TC 3A12, 3A17, 5A6, A4EU) - 4p tricycle fixed-gear version of 170 with fixed-pitch prop. Skyhawk was deluxe model; P-prefix models (Powermatic) were higher-performance with more power and constant-speed prop (except T-41 military versions). POP all 172s: 33,629 plus 544 military by the end of production in 1986, making it the biggest seller of all times. Produced in France under (TC A4EU) as F-172; POP: 4,951. Series resumed in 1996 with new TC and production as 172R. 172 Skyhawk 1956 (TC 3A12) = 145hp Continental O-300-A; span: 36'2" length: 26'6" load: 1070# v: 139/131/55 range: 640 ceiling: 13,100'. Straight tail. $9,250; POP: 3,754. Contract USAF service as T-41 primary trainer. 172 Cutlass RG 1980 (TC 3A17) = 180hp O-360-F1A6 and constant-speed prop, retractable gear, wraparound rear window. R172, Skyhawk 1974 (TC 3A17) = IO-360-H/-HB. 172A Skyhawk 1960 (TC 3A12) = Deluxe model with swept tail; 145hp O-300-C; load: 1000# v: 140/131/x range: 790. $11,995-14,650 (to $27,667 in 1976, $74,705 in 1986). 172B Skyhawk 1961 (TC 3A12) = O-300-C/-D. First listing of Skyhawk name on ATC. 172C Skyhawk 1962 (TC 3A12) = O-300-C/-D; weight increase; range: 780. 172D Skyhawk, Powermatic 1963 (TC 3A12) = O-300-C/-D; large, wraparound rear window, weight increase. Powermatic with 175hp geared GO-300-E and constant-speed prop; v: 148/140/50 range: 615. P172D, Skyhawk Powermatic 1963 (TC 3A17) = 175hp Continental GO-300-E. Wraparound rear window. P172A to P172D designations not used. 172E Skyhawk 1964 (TC 3A12) = O-300-C/-D; electric flaps. R172E, Skyhawk 1965 (TC 3A17) = 210hp Continental IO-360-D/-DB. To USAF as T-41B/C/D. Optional fixed-pitch prop. 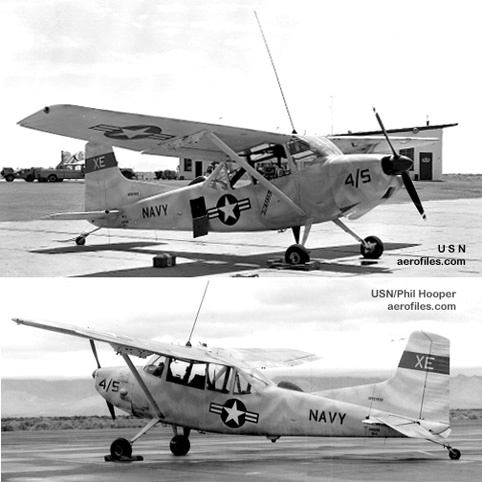 172F, 172H 1965 (TC 3A12) = USAF T-41A built as two different model numbers in different years. R172F, Skyhawk 1969 (TC 3A17) = As R172E. To USAF as T-41D. 172G, Skyhawk 1966 (TC 3A12) = O-300-C-/D. R172G, Skyhawk 1970 (TC 3A17) = IO-360-C/-CB/-D/-DB. To USAF as T-41C/D. 172H, Skyhawk 1967 (TC 3A12) = no data. R172H, Skyhawk 1971 (TC 3A17) = IO-360-H/-HB. To USAF as T-41D. 172I Skyhawk 1968 (TC 3A12) = 150hp Lycoming O-320-E2D; load: 901# v: 140/132/49 range: 655 ceiling: 13,110'. $13,995. 172J - Designation not used. 172K, Skyhawk 1969 (TC 3A12) = O-320-E2D with larger fuel tanks. 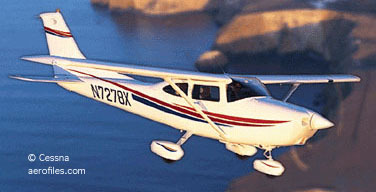 R172K Hawk XP1, XP2 1977 (TC 3A17) = 180hp IO-360-K. No data. $41,050. 172L, Skyhawk 1971 (TC 3A12) = O-320-E2D; no data. 172M, Skyhawk 1973 (TC 3A12) = O-320-E2D; camber-lift wing. 172N, Skyhawk 100 1977 (TC 3A12) = 160hp O-320-H2AD, 28v electrical system. 172O - Designation not used. 172P, Skyhawk 1981 (TC 3A12) = Lycoming O-320-D2J; weight increase. 172Q Cutlass 1983 (TC 3A12) = 180hp Lycoming O-360-A4N. 172R, Skyhawk 1997 (TC 3A12) = Revived production with 160-180hp Lycoming IO-360-L2A; span: 36'1" length: 26'10" (?>27'3") load: 875# v: 141/133/54 range: 790 ceiling: 13,500'. $124,500 (standard) to $141,700 (deluxe). Offered with a de-rated engine that could be modified by a Cessna modification kit to the 180hp rating. 172S, Skyhawk SP 19?? (TC 3A12) = 180hp Lycoming IO-360-L2A; span: 36'1" length: 27'3" load: 932# v: 145/143/61 range: 596 (data 2001). 175 Skylark 1958 (TC 3A17) = 4pChwM; 175hp Continental GO-300-A with geared prop; span: 36'0" length: 25'0" v: 149/139/53 range: 720 ceiling: 15,900'. A relatively short-lived higher-performance version of the 172 family designed to fill the gap between 172 and 180/182. Approved for skis and floats. $13,050; POP: 2,120. 175A Skylark 1958 (TC 3A17) = GO-300-C/-D. Introduction of the swept tail. 175B Skylark 1960 (TC 3A17) = GO-300-C/-D.
175C Skyhawk 1962 (TC 3A17) = GO-300-E and constant-pitch prop. The next model after the 175C under this ATC was P172D with the same engine and prop. 177, Cardinal 1967 (TC A13CE) = 4pChwM; 150hp Lycoming O-320-E2D; load: 1010# v: 141/130/x range: 825. Strutless cantilever wing, stabilator tail. $12,995 (1968). Achieved higher performance than the 172 family with a redesigned, lower-drag fuselage and cantilever wings. "Standard" models were called the 177 and "de luxe" models the Cardinal. 177A, Cardinal 1969 (TC A13CE) = 180hp O-360-A2F with fixed-pitch prop, weight increase, slotted stabilator. 177B, Cardinal 1970 (TC A13CE) = O-360-A1F6 or -A1F6D. Wing and tail redesign and mods, constant-speed prop. New instrument panel in 1976; 24v electrical system in 1978. POP: 50. 177 Cardinal RG 1971 (TC A20CE, A26EU) = 4pChwM rg; 200hp Lycoming IO-360-A; load: 1025-1170# v: 176/166/57 (?>153/142/53) range: 690-765 ceiling: 14,600'. $24,750. Retractable gear. Classic 1978 = Modernized design, luxury appointments, 24v electrical; load: 935#. POP: 80. 180 Skywagon 1953 (TC 3A24, 5A6) = 4pChwM; 225hp Continental O-470-L; span: 35'10" length: 25'9" v: 170/160/x; range: 745. Conventional gear, also ski and float options. $12,950; $17,950 (1968), $25,700 (1975). POP: 1 prototype in 1953; total reported production. 2,662. 180A 1957 = 230hp O-470-K; load: 1095# v: 170/160/x range: 675-845. $13,250-13,850; POP: 693. 180B 1959 = 230hp O-470-K; specs similar to 180A. $14,250. 180C 1960 = 230hp O-470-L; load: 1120# v: 170/160/x range: 845. $16,150. 180D 1961 = 230hp O-470-L; load: 1135# v: 170/160/x range:845. $15,275. 180E 1962 = 230hp O-470-R; load: 1135# v: 170/162/x range: 925. $15,425. 180F 19?? = 230hp O-470-R; specs similar to 180E. 180G 19?? = 230hp O-470-R; load: 1275# v: 170/162/x range: 925. $16,150. 180H 19?? = 230hp O-470-R; load: 1285# v: 170/162/x range: 925. $16,150-17,950. 180J 1976 = span: 36'0" length: 25'9" load: 1183# ceiling: 19,600'. 180K 19?? = No data. 182, Skylane 1956 (TC 3A13) = Tricycle gear version of 180; 230hp O-470-L; span: 36'2" length: 28'0" load: 1240# v: 167/157/x range: 905 ceiling: 18,900'. $17,995 (1968). Skylane was eventual deluxe model (load: 1180# v: 170/162/x range: 925). $18,995 in 1968, $26,700 in 1975. POP: 5,285. Swept-tail introduced in 1960. Produced in Argentina as A-182. 182A, Skylane 1957 = Shortened landing gear, weight increase. $13,975. 182A Deluxe 1958 = Rudder trim, deluxe appointments. 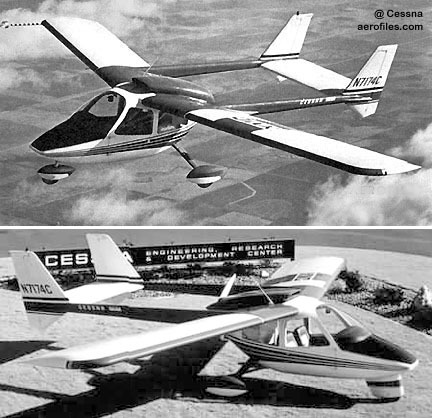 182B Skylane 1958 = Specs similar to 182, but O-470-K; load: 1090# v: 168/158/x range: 819. $14,250; POP: 306. 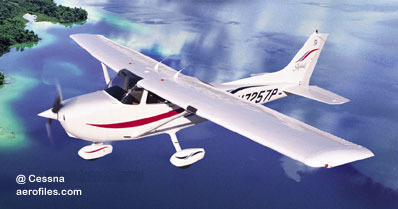 182C, Skylane 1960 = Swept fin, larger fuel tanks, O-470-L. $14,890-$17,325; POP: 649. 182D 1961 = Rear windows added; styling changes. $17,950. 182E 1962 = New windshield and large rear window, wider cabin, electric flaps, increased payload; 230hp O-470-R; load: 1175# v: 170/162/x range: 925. $18,490. 182F 1963 = Improved performance, new styling. 182G 1964 = Specs similar to 182E, but load: 1190#. $17,875. 182H 1965 = Specs similar to 182G. $17,975. 182J 1966 = Specs similar to 182G, but load: 1180#. $17,995. 182K 1967 = Specs similar to 182J. $18,450. 182L 1968 = Specs similar to 182K, but load: 1175#. $18,995. 182M 1969 = Specs similar to 182L, but load: 1165#. $19,950. 182N 1970 = Camber-lift wing, new wingtips; weight increase; load: 1310# v: 168/160/x range: 885. $20,895. 182P = 19?? = No data. 182Q 1977 = Weight increase. 182R 1981 = Enlarged fuel tanks. 182S 1996 = 230hp Lycoming IO-540-AB1AS; span: 36'0" length: 29'0" load: 1185# v: 167/161/62 range: 944. 182T 2001 = No data. Super Skylane 19?? = 6p upgraded 285hp version; load: 1780# v: 174/163/x range: 810. $24,995 (1968). With optional turbo at $29,195; load: 1685# v: 200/184/x range: 825. 185 Skywagon 1961 = 260hp Continental IO-470-F; load: 1680# v: 176/165/x range: 885. $18,950. 185A 1962 = Specs similar to 185, but range: 945. $19,150. 185B 1963 = Could carry a detachable fiberglass Cargo-Pack that held a 300# load. Specs similar to 185A, but load: 1620#. $19,495. 185C 1964 = Specs similar to 185B, but load: 1640#. $19,695. 185D 1965 = Specs similar to 185C. $19,795. 185E 1966 = Specs similar to 185B, but load: 1740# v: 172/164/x range: 875. $19,695. A185E 1966 = 300hp Lycoming IO-520-D; load: 1730# v: 178/169/x range: 825. $20,245, $23,350 in 1970. 185F 19?? = no data, except 300hp O-520. A185F 19?? = no data. 185 Agwagon, Carryall 1961 (TC 3A24) = Agplane. 6p version of 180 with larger tail and 300hp O-470; added cargo door and belly cargo pack; load: 1775# v: 178/169/x range: 825. $21,375 (1968), $30,175 (1975). Approved for floats. Popular as crop sprayer and cargo hauler. Military version U-17A. 187 1968 = 4pChwM; 240hp Continental O-470; span: 35'4" length: 27'5" v: 167 range: 1000. Cantilever wing; also tested with T-tail. Began life as Model 343, intended to replace 182, but offered no significant improvements and was cancelled. POP: 1 [N7167C]. 188, A188 Agwagon, Agtruck (TC A9CE) = Agplane. 188A, A188A 1965 = 230hp Continental 0-470-R/-S; span: 29'8"-41'8" length: 25'3" v: 181/144/110; ff: 2/19/65 (p: William D Thompson). Fixed-pitch prop. 188B, A188B 1972 = 285hp Continental IO-520-D; length: 26'3". 3-blade constant-speed prop and spinner. T188C 19?? = No data. 190 Businessliner 1947 (TC 790) = 4pChwM; 240hp Continental W-670-23; span: 36'2" load: 27'2" load: 1130# v: 178/160/62 range: 725-750 ceiling: 16,100'. $16,500; POP: 233 (?>204). 195 Businessliner 1947 (TC 790) = 4pChwM; 300hp Jacobs R-755A-2; span: 36'2" length: 27'4" load: 1300# v: 180/159/60 range: 700. Design evolved from P-780, and first of two prototypes was tested in 1946. $23,500; POP: 446, of which 15 to USAF as UC-/LC-126A, 5 to Natl Guard as LC-126B, and 63 to Army with 300hp Jacobs YR-755-11 as L-126C. 195A Businessliner 1950 (TC 790) = 245hp Jacobs R-755-9. $15,795; POP: 211. 195B Businessliner 1952 (TC 790) = 275hp Jacobs R-755B-2; length: 27'2". $18,750; POP: 115. A195 1953 (TC 790) = 300hp Jacobs R-755A-2. $24,700; POP: 6. A195B 1953 (TC 790) = 275hp Jacobs R-755B-2. $19,950; POP: 94. 205/210-5, 205A/210-5A Skywagon 1963 (TC 3A21) = 4pChwM rg; 260hp Continental IO-470-H/-S; span: 36'10" length: 28'3" load: 1550# v: 173/163/57 range: 1015. $22,295; POP: 577. 206 Stationair, Super Skylane 1964 (TC A4CE) = 6pChwM rg; 282hp Continental IO-470; load: 1623# v: 180/168/53 range: 674. Evolution of 205. POP: 7,652(?). 206 Turbo Stationair 19?? = 285hp turbosupercharged TSIO-470-H.
P206A, TP206A, U206A Super Skylane 1966 = 285hp IO-520-A; load: 1510# v: 177/176/53 range: 825. P206B, TP206B, U206B Super Cargo Master 1967 = 2p with 675hp P&W-Canada PT6A-114A; span: 52'1" length: 41'7" load: 4175# v: 201/x/70 range: 1238 (data 2001). P206C, TP206C, U206C 1967 = No data. P206D, TP206D, TU206D, U206D 1969 = No data. P206E, TP206E, TU206E, U206E 1970 = No data. TU206F, U206F 197? = No data. TU206G, U206F 197? = No data. 206H Stationair 1997 = 310hp Lycoming IO-580; $289,900. T206H, U206H Turbo Stationair 1997 = 310hp Lycoming TIO-580-AJ1A; load: 1313# v: 205/189/x. $324,900; POP: ??. 207 Skywagon 1969 (TC A16CE) = 7p stretched version of 206 with 295hp Continental IO-520-F. Redesignated TU-206 with turbo-supercharged TSIO-520-C.
207A, T207A 19?? 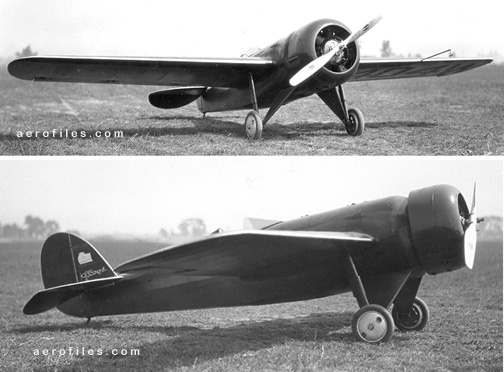 = 8p with 310hp TSIO-520-M. Enlarged baggage compartment. POP: 768. 208 Caravan, Caravan I 1982 (TC A37CE) = 10-14pClwM rg; 600hp turbocharged P&W-Canada PT6A; span: 51'8" length: 37'7" v: 214 range: 1000+; ff: 12/x/82. Used in cargo service with Federal Express, Markair Express, others. Renamed Caravan I to distinguish from Caravan II F406 developed in France in 1983 (based on 404 Titan). Some 208s were delivered to Army as U-27A. 208A 19?? = No data. 208B Grand Caravan 19?? = 675hp P&W-Canada PT6A-114A; span: 52'1" length: 41'7" load: 4513# v: 212/x/70 range: 1338 (data 2001). Also marketed as Soloy Pathfinder 21 as that company's conversions to two 670hp PT6D motors in 1997. 210 Centurion (TC 3A21) 1960 = 6pChwM rg; 285hp Continental IO-470-E; span: 36'6" length: 28'3" (?>27'5") load: 1720# v: 200/188/65 range: 1225 ceiling: 20,700'. Developed as a sequel to 172. POP total 210: 8,462. 210A 1961 = Production version with Continental IO-470-E. $29,475 (1968). 210F, T210F 1966 = IO-520-A, TSIO-520-C.
210G, T210G 19?? = IO-520-A, TSIO-520-C.
210H, T210H 19?? = IO-520-A, TSIO-520-C.
210J, T210J 19?? = IO-520-J, TSIO-520-H.
210K, T210K 19?? = IO-520-L, TSIO-520-H.
210L, T210L 19?? = IO-520-L, TSIO-520-H.
210M, T210M 1977 = IO-520-L, TSIO-520-R.
210N, P210N, T210N 197? = IO-520-L, TSIO-520-P/-AF, TSIO-520-R; span: 39'8" (w/tip tanks) length: 28'2" load: 1352# v: x/200/67 ceiling: 27,000' (data for T210N). 210P 19?? = Pressurized fuselage; turbocharged. P210Q 19?? = No data. 210R, P210R, T210R 19?? = IO-520-L, TSIO-520-CE, TSIO-520-CE. 210T 19?? = 325hp turbocharged Continental TSIO-520-C; load: 1685# v: 200/192/x range: 1360. $33,675 (1968). 230, 300 AgWagon - 1pClwM; 230hp Continental O-470; load: 1540# v: 119/116/x range: 325; ff: 2/x/65. Agricultural applicator. 230 1965 = Production version. $16,995 (1968), $32,825 (1975). 300 19?? = 300hp Continental IO-520-D; load: 1500# v: 178/169/x range: 825. $19,995 (1968). 303 Clipper, T303 Crusader 1979 (TC A34CE) = 6pClwM rg; two 250hp Continental TSIO-520-AE (also LTSIO with turbo-compressor); span: 38'10" length: 30'5" load: 1845# v: 249/225/x range: 1156 ceiling: 25,000'; ff: 10/17/79. Evolved from a concept design for a twin trainer in the mid-'70s. POP: 1 prototype as 303 Clipper and 297 as T303 Crusader. Production ended in 1986. 305 Bird Dog 1950 (TC 5A5) = 2pChwM; 210hp Continental O-470; span: 36'0" length: 25'10" load: 786# v: 151/104/53 range: 530. POP: 1 prototype of L-19/OE-1, based on 170 design. 305A 1950 (TC 5A5) = 213hp O-470-11. POP: 2,130 to Army, 190 to Natl Guard, and 20 to USAF as L-19A, XL-19B and 60 to USN as OE-1, plus.13 to MDAP and 6 to Chile. 305B 1956 (TC 3A14) = 213hp O-470-15. POP: 310 to Army as TL-19D/O-1D, -F.
305C 1957 (TC 5A5) = 213hp O-470-11. POP: 306 to Army as L-19E later O-1E, plus 126 to France, 53 to MDAP, 9 to Canada. 305D 19?? (TC 5A5) = No data. 305E 19?? (TC 3A14) = No data. 305F 19?? (TC 5A5) = No data. 308 1952 = 4pChwM with 375hp Lycoming GSO-580; span: 47'0" range: 700. Prototype for Army evaluation, convertible to a four-stretcher ambulance. POP: 1. 309 1953 = Prototypical design evaluations of 170-A through 1955. POP: 4. 310 1953 = 5pClwM rgl two 240hp Continental O-470-B; ff: 1/3/53. $51,500;. Evolved into 320 and 340 series. POP: 547. To USAF as L-27/U-3. 310A, U-3A 1953 (TC 3A10) = Military version of 310. Two 285hp Continental O-520; span: 38'12" (?>36'0") (?>36'11") length: 34'4" (?>27'0") (?>29'6") load: 1750# v: 220/205/x (?>240/177/76) range: 870 (?>780). POP: 160 to USAF as L-27A and U-3A. 310B 1957 = 310 with redesigned instrument panel, 240hp O-470-M. $59,950; POP: 228. 310C 1959 = 310B with 260hp IO-470-D. First model with fuel injection and the last with a straight tail. POP: 259 (?>262). 310D 1957 = 310C with swept vertical tail, 260hp IO-470-D; span: 36'0" length: 29'6" load: 1793# v: 242/220/x range: 140 ceiling: 21,300'. $59,950 (1960): POP: 278. 310E, L-27B, U-3B 19?? =Military version of 310F. POP: 36 as L-27B, later U-3B. 310F 19?? = 310D with extra side windows, pointed nose, new tip tanks. POP: 156. 310G 19?? = 6p 310F with slimline tip tanks, increased take-off wt. POP: 156. 310H 19?? = 310G with enlarged cabin, increased take-off wt. POP: 148. E310H 19?? = No data. 310I 19?? = 310H with IO-470-U, baggage compartments in rear of engine nacelles. POP: 200. 310J 19?? = POP: 200. 310J-1 19?? = No data. 310K 19?? = 310J with IO-470-V; long side windows, increased take-off wt. POP: 245. 310L 19?? = 310K with one-piece windshield, redesigned undercarriage, increased fuel. POP: 207. 310M 19?? = Redesignation for 310E. 310N 19?? 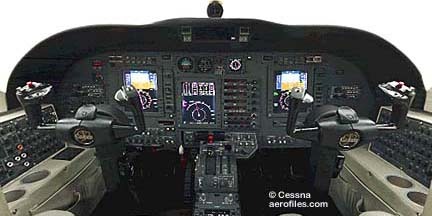 = 310L with IO-470-V-O; revised instrument panel, optional fuel tanks in engine nacelles. POP: 198. 310P, T310P 19?? = 310N with shorter nose gear leg, ventral fin, optional turbocharged Continental TSIO-520-B. POP: 240. 310Q, T310Q 19?? = 310P with increased take-off wt. Later production featured bulged rear cabin roof and rear window. POP: 1160. 310R, T310R 1979 = 285hp Continental TSIO-520-MB and 3-blade props; span: 36'11" length: 32'0" load: 1777# v: 257/231/81 ceiling: 27,400'. POP: 1,332. 310S - Original model designation for 320. 310 II 19?? = $110,400 (1975). Turbo 310 19?? = $107,500 (1975). Turbo 310 II 19?? = $127,250 (1975). 319 1953 = 2pChwM for advanced Boundary Layer Control experiments in cooperation with US Naval Research Laboratory. Used a standard L-19A fuselage and new, modified wings with fans blowing air over wing/control surfaces. POP: 1 as 319A. Not the same as the L-19A used by Mississippi State Univ for similar BLC experiments. 320 Skyknight 1961 (TC 3A25) = 310 variant. 5-6pClwM rg; two 260-285hp Continental TSIO-470-D; load: 1940-2027# v: 275/260/x (?>263/222/x) range: 1017. POP: 110. 320A 196? =320 with stabil-tip fuel tanks. POP: 47. 320B 195? = 320A with nacelle baggage compartments. POP: 62. 320C 19?? = 320B with longer cabin, optional seventh seat. POP: 73. 320D Executive Skyknight 19?? = 320C with reshaped rear windows and two 285hp Continental TSIO-520-B; load: 1980# v: 276/261/x range: 1076-1555 ceiling: 29,300'. POP: 130. 320E Executive Skyknight 19?? = 320D with pointed nose, one-piece windshield, modified undercarriage, increased take-off weight. POP: 110. 320F Executive Skyknight 19?? = 320E with minor changes. POP: 45. 325 1951 (?>1953) = 1p L-19 design, factory-modified as a commercial crop sprayer; 230hp Continental O-470-A/-J. $12,750; POP: 2 (?>4). 327 1967 = 4pChwM rg; two 160hp Lycoming O-320 tractor/pusher; span: 35'6" v: 187. Gross wt: 3500. 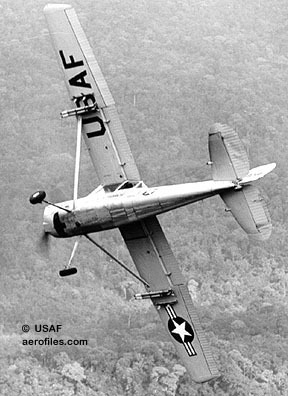 Smaller twin-boom cantilever wing forerunner of 337. First called Model 377, project was cancelled in 1968. POP: 1 prototype to NASA for wind tunnel tests [N3769C]. 335, 340 (TC 3A25) 1971 = 6pClwM rg; 340 was pressurized version. 336 Skymaster 1961 (TC A2CE) = Introductory model of Skymaster; two 210hp Continental IO-360-A; span: 38'0" length: 29'7" load: 1180# v: 183/173/60 range: 745-1315 ceiling: 19,000'. ; ff: 2/28/61. POP: 197. 337 Skymaster, 339 Super Skymaster, F-337, F-339 (TC A6CE) 1965 = 4-6pChwM rg; two 208hp Continental IO-360 tractor/pusher; span: 38'0" length: 29'7" load: 1580# v: 183/173/60 range: 1315; ff: 2/28/61. Popular use as fire-spotters by CDF 1976-93. $43,000; POP (total 337): 2,480 civil and 513 as Army/USAF O-2. Licensed French-built versions were F-337/-339 Millirole. Design revived as Adam A500 (2002). 337 1963 = Production version with two 195hp Continental IO-360-A. 337 Super Skymaster 196? = Redesigned nose, two 210hp Continental IO-360-C . $44,500; POP: 239. 337 Turbo Super Skymaster 1970 = Turbocharged TSIO-360-A; load: 1685# v: 231/224/70 range: 1140 ceiling: 18,800'. $52,300. 337A Super Skymaster, O-2B 19?? = POP: 255 included 31 to USAF as O-2B..
337B Super Skymaster, M337B (O-2A), T337B 19?? = 337A with optional belly container. POP: 230, plus 501 to USAF as O-2A and 12 exports to Iran AF. 337C Super Skymaster, T337C 19?? = 337B with revised instrument panel, increased payload. POP: 223. 337D Super Skymaster, T337D 19?? = 337C with unknown changes. POP: 215. 337E Super Skymaster, T337E 19?? = 337D with cambered wingtips. POP: 100. 337F Super Skymaster, T337F 19?? = 337E with increased gross weight. POP: 114 included 4 USAF [72-1460/1463] to Ceylon. 337G Super Skymaster, P337G 19?? = 337F with Continental IO-360-G, revised entry door and rear side windows, new flaps, larger front prop. POP: 352 as 337G, and 292 as P337G with turbos and pressurized cabin. FT337GP 19?? = No data. 337H Skymaster, P337H, T337H-SP 19?? = Optional turbocharged engines, pressurized cabin. POP: 136. 337M, O-2 19?? 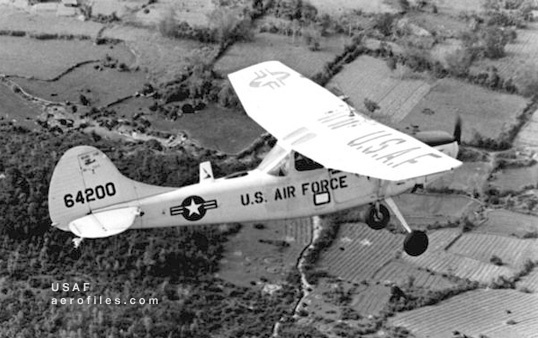 = USAF as O-2. POP: 513. This designation might be a duplication of records with M337B. 339 19?? = No data. 340 1971 (TC 3A25) = 6pChwM rg developed from 310, with pressurized cabin; two 285hp Continental TSIO-520-K; span: 38'1" length: 34'4" v: 281 range: 1586. $142,950 (1975); POP: 873. 340A standard model and 340AII/340AIII with additional equipment and electronics packages. 401 1965 (TC A7CE) = 6-8pClwM rg; two 300hp Continental TSIO-520-E; load: 2659# v: 261/240/x range: 808; ff: 8/26/65. $99,800 in 1968; POP total 401s: 406 (?>404). Evolved into 411, 421, 425. 401A 1967 = No data. 401B 19?? = No data. 401C 19?? = No data. 402 Businessliner, Utililiner, Utilitwin (TC A7CE) 1966 = 6-10pClwM rg; two 650hp Continental TSIO-520; span: 39'10" length: 36'1" v: 228/240/x range: 1417 ceiling: 26,180'. Similar to 401 but with cabin convertible to cargo space; reinforced floor. $138,500 (1975); POP total 402s: 1500+. 402A 19?? = No data. 402B 19?? = No data. 404 Titan 1975 (TC A25CE) = 6-10pClwM rg; two Continental GTSIO-520-X; span: 46'4" (?>46'0") length: 36'6" (?>39'6") load: 3526# v: 267/223/x range: 1020 ceiling: 22,200'; ff: 2/26/75. Based on 402. POP: about 380. Ambassador II/III 19?? = USN version C-28A in 1987. Courier II/III 19?? = No data. Freighter 19?? = Cargo version. 405 - Proposed four-place military light transport, based on T-37 with a large clamshell canopy, was never built. 406 19?? (TC A25CE, A54EU) = No data. 407 1960 = 4pClwM rg; two 1410# de-rated Continental 356; span: 38'4" length: 32'2" load: 4690# v: 480/362/x range: 1595. Corporate jet evolved from T-37. 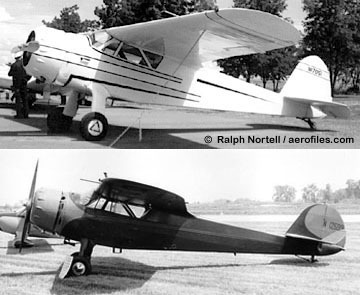 POP: 1 prototype [N60407], performed well in tests, but Cessna was unable to find buyers. 411, 414 1962 (TC A7CE) - From 401. 6-8pClwM; two 310hp Continental TSIO-520-J. 411A, 414A 19?? = Turbocharged model; load: 2635# v: 268/246/x range: 1297 ceiling: 30,100'; ff (411): 7/18/62 (p: Bob Hagan), ff (414): 11/1/68. $113,950 (1968). 421 Golden Eagle 1967 (TC A7CE) = 5-8pClwM rg; two 375hp Continental GTSIO-520-H; load: 2563# v: 276/255/x range: 1174; ff: 10/14/65. $229,950 (1975); POP: about 1,800 by end of production in 1980. 421A 1969 = No data. 421B, Executive Commuter 1970 = 6-8p. 421C 1981 = No data. 425 Corsair 1978 (TC A7CE) = 6pClwM rg; two 450hp P&W PT6A; span: 44'1" v: 305. Renamed Conquest I in 1983. $825,000 in 1980; POP: 175 by 1982. 441 Conquest 1975 (TC A28CE) = 8-10pClwM rg; two 625hp Garrett TPE-331; span: 49'4" length: 39'0" v: 325/322/x range: 2114 ceiling: 33,200'. POP: 97. Renamed Conquest II in 1983. 500 Citation (TC A22CE) 1969 = 6pClwM rg; two 2200# P&WC JT15D-1; span: 47'1" length: 43'6" ff: 9/15/69. POP: 352. 501 Citation I 1977 = 500 Citation with upgrades. 525 CitationJet 1991 = 6pClwM rg; two 1900# Williams-Rolls FJ44-1A; span: 46'10" length: 42'7"; ff: 4/29/91. 525A = 19?? = No data. 525B = 19?? = No data. 526 JPATS CitationJet 1993 = 2pClwM rg; two 1500# Williams-Rolls F129; ff: 12/20/93. Trainer version for USAF JPATS competition. POP: 2. 550, 551 Citation II 1977 = 8pClwM rg; two 2500# P&WC JT15D-4; span: 52'2" length: 47'2" Stretched fuselage, increased payload; ff: 1/31/77. 550 Citation S/II 1984 = Aerodynamic upgrade of Citation II. 550 Citation Bravo 1995 = 10pClwM rg; two 2885# P&WC 530A; span: 52'2" length: 47'2". 551 Citation S/IISP = Single-pilot version of Citation S/II. 560 Citation V 1989 = 11pClwM rg; two 2900# P&WC JT15D-5A; span: 52'6" length: 48'11" Growth version of Citation S/II. 560 Citation Ultra 1988 = 7pClwM rg; two 3045# P&WC JT15D-5D; span: 52'2" length: 48'11" Upgraded Citation V. To Army and USN as UC-35. 561 Citation Excel 1995 = 9pClwM rg; two 3785# P&WC 545A; span: 55'9" length: 51'10". 620 1956 = 11pClwM rg; four 350hp Continental GSO-526-A; span: 55'0" length: 44'7" load: 4825#v: 282/260/x range: 1700 ceiling: 25,000'. $375,000  too much for the market; POP: 1 [N620E]. 650 Citation III 1979 = 11pClwM rg; two 3650# Garrett TFE731-3B-100S; span: 53'6" length: 55'6". Swept wing, longer-range business jet. 650 Citation VI = 13pClwM rg; Economy version of Citation III. 650 Citation VII 1991 = 13pClwM rg; two 4080# Garrett TFE731-4R-2S. Upgraded Citation III. 670 Citation IV 1989 = Longer-range version of Citation III. Superseded by Citation VI and VII. 680 Citation Sovereign = no data. 750 Citation X 1993 = 8-12pClwM rg; two 6400# RR-Allison AE3007-C; span: 63'11" length: 72'2" v: 403 range: 3337; ff: 12/21/93. First deliveries in Aug 1996. $15,295,000; POP: 8 (to 1/1/97). A-37, OA-37 Dragonfly - T-37 beefed-up and repowered in conversion to COIN combat duties, the first attack aircraft built by a US general aviation manufacturer. Two to eight wing pylons supported up to 6 tons of ordnance or extra fuel tanks. SEE ALSO T-37. A-37A 1964 = Two 2400# GE J85. POP: 40 [67-14503/14541], 7 as YA-37A [62-5950/5956], and 2 prototypes as YAT-37D. A-37B 1967 = Two 2800# J85-GE-17A; span: 33'10" length: 29'4" v: 360 range: 650 ceiling: 36,000'. Air-to-air refueling capability; stressed for 6G. POP: 577 [67-14776/14823, -22483/22491, 68-7911/7980, -10777/10827, 69-6334/6446, 70-1277/1312, 71-790/854, -858/873, -1409/1416, 73-1056/1115, -1654/1658, 74-998/1013, -1694/1723, 75-410/417, -424/441, -669/680], plus exports to Chile (34), Colombia (14, plus 12 reportedly supplied later), Ecuador (12), El Salvador (18), Guatemala (13), Honduras (15), Uruguay (8), Peru (36), South Vietnam, Thailand. 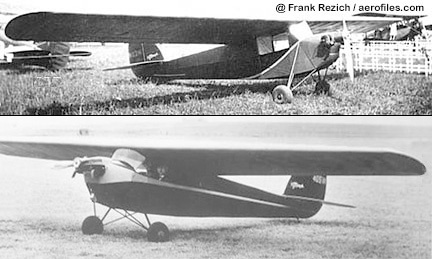 A, AA, A Racer (Cessna-Roos, Cessna) 1927 (ATC 65, 2-7, 2-8) = 3-4pO/CmwM; 120hp Anzani; span: 40'0" length: 24'9" load: 720# v: 120/102/40 range: 450. Full-cantilever wing. Known as A model until 1929, AA thereafter; evolved into AW. $5,750; POP: 117 (?>136). Modified for competition as 1928 A Racer [X1626, X1627]. AC 1928 (ATC 2-407) = 3pChwM; 130hp Comet 7-RA. $6,800; POP: 1. AF Special 1930 (ATC 2-237) = 3pChwM; 150hp Axelson-Floco B. $7,200; POP: 2. AS 1928 (ATC 2-8) = 4pChwM; 125hp Siemens-Halske SH-12. $7,200; POP: 2 [C4156/4157]. AT-8 1940 (ATC 722) = Trainer version of T-50 with two 240hp Lycoming R-680; data similar to T-50. $25,510; POP: 33 [41-005/037]. AT-17, -17E 1941 (ATC 722) = 2-5p AT-8 with two 245hp Jacobs R-775-9 and wood props; load: 1500# v: 195/175/x range: 750 ceiling: 22,000'. $19,100; POP: 450 [42-002/451]. 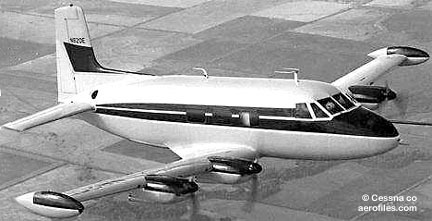 Because of spar problems resulting from moisture, unmodified planes had a weight restriction, and were redesignated AT-17E/F/G/H. AT-17A, -17F 1941 = Metal props; load: 1600#. POP: 223 [42-13617/13806, -13867/13899], of which the first 190 as Lend-Lease to RCAF as Crane IA/II. AT-17B, -17G 1942 = Equipment changes, 12v electrical. $19,100; POP: 466 [42-38692/39157]; first 110 were 2p, the rest were 5p. Design became UC-78B. AT-17C, -17H 1943 = 2p; upgraded radio. POP: 60 [42-13807/13866, -13900/14030]. AT-17D 1943 = load: 2200#. POP: 131 [42-13900/14030]. Design became UC-78C. AW 1928 (ATC 72) = 3-4pChwM; 110hp Warner Scarab; span: 40'0" length: 24'9" load: 1035# v: 125/105/42 range: 630. $6,900 with wood prop; $7,115 with metal prop; POP: 58, one of which made a 30-day excursion to Siberia by way of Alaska in 1929, covering 13,085 miles in 127 hours flying time [C1707] (p: Parker Cramer). BW 1928 (ATC 2-7) = 4p "Sportsman's Model" AW with 220hp Wright J-5, and increased performance. $8,500; POP: 13. C-3 1934 (ATC 2-473) = 4pChwM; 125hp Warner Scarab. POP: 1. C-28 1987 = USN version of 404 Titan Ambassador. C-34 1935 (ATC 573) = 4pChwM; 145hp Warner Super Scarab; span: 33'10" length: 24'7" load: 920# v: 162/143/47 range: 550. $4,995; POP: 43, of which 1 was impressed by USAAF in 1942 as UC-77B [42-78021]. SEE Cessnas in the USAAF. When referencing Cessnas, one needs to distinguish between the company's liberal use of "C-" designations and the Air Force's original "C-" designation for cargo planes (which later became "UC-" as utility and cargo). Confusion can easily run wild in this area, as well as with Cessna's use of the "DC-" designation that ran head-on with Douglas commercial products. The above C-for-Cessna 34 was also the USAAF C-for-Cargo 77, and there are several more similars lurking in these entries. C-35 - Modified stock 8pClwM Citation 560 Ultra-V with two 3045# P&W JT15D-5D, later Citation Encore; span: 54'0" (?>52'2") length: 48'11". Replacement for USAF's aging Beech C-12. UC-35A, -35B 1999 = Army medium-range executive transport or cargo. UC-35C 2001 = USMC/USN. Two P&W JT15D-5D. Upgraded communication and navigation systems and enhanced ground proximity warning systems. POP: 5, of which 3 to USN. UC-35D 2001 = USN. Citation Encore with two 3400# P&W 535A. Enhanced ground proximity warning system and enhanced comm/nav equipment.$6 million; POP: 34. C-37 1937 (ATC 622) = Improved C-34. 4pChwM; 145hp Warner Super Scarab; span: 34'2" length: 24'8" load: 946# v: 162/143/48 range: 540. $5,490-6,000; POP: 46, of which 4 were impressed by USAAF as UC-77D [42-78023/78025, -97412]. SEE Cessnas in the USAAF. C-77 1942 = Impressed by USAF were 1 C-34 as UC-77B [42-78021], 4 C-37s as UC-77D [42-78023/78025, -97412], 4 DC-6As as UC-77 [42-38290, -46637/46639], and 4 DC-6Bs as UC-77A [42-38292/38295]. SEE Cessnas in the USAAF. C-78 Bobcat - 5p AT-17 redesignated from trainer to transport class. Specifications similar to T-50. POP: about 800, including AT-17 models. Because of spar problems resulting from moisture, unmodified UC-78Bs and -78Cs had a weight restriction and were redesignated as UC-78E and -78F. UC-78 1942 = Metal props. $16,450; POP: 1,354 [42-58110/58540, 43-7281/7853, -31763/32112]. UC-78A 1942 = Civil T-50 impressed by USAAF. POP: 15 [42-38276/38278, -38374/38375, -38377, -38379, -43844, -97033/97039]. SEE Cessnas in the USAAF. UC-78B, -78E 1942 = Fixed-pitch wood props. POP: 1,806 [42-39158/39346, -71465/72104, 43-7854/8180, -32113/32762]. UC-78C, -78F 1943 = 12v electrical. POP: 196 [42-14031/14166, -72105/72164]. C-94 - Impressed C-165 as UC-94 [NC21942=42-78018, NC21946=42-78022, NC32458=42 -107400]. C-106 Loadmaster 1943 = 4pChwM rg; two 600hp P&W R-1830; span: 64'8" length: 51'1" load: 5000# v: 195. Light military transport of mixed wood and metal construction. POP: 2 company-owned P-260 prototypes were built and given military designations of C-106 and C-106A for USAAF testing [NX24176, NX44600]. C-126, LC-126, U-20 (ATC 790) - USAF trainer version of 195. Redesignated U-20 in 1962. UC-/LC-126A 1950 = 300hp Jacobs R-755A-2; span: 36'2" length: 27'2" v: 140. POP: 15 [49-1947/1960, -2773]. Redesignated LC. LC-126B, U-20B 1951 = As LC-126A, to Natl Guard. POP: 5. LC-126C, U-20C 1952 = Army instrument trainer; 200hp Jacobs YR-755-11. POP: 63 [50-1249/1253, 51-6958/7018, 52-6314/6315]. C-145 Airmaster 1938 (ATC 701) = 4pChwM; 145hp Warner Super Scarab; span: 34'2" length: 24'8" load: 970# v: 162/151/49 range: 785. $7,875; POP: 41.
ßß C-165 Airmaster 1938 (ATC 701) = 4pChwM; 165hp Warner Super Scarab; span: 34'2" length: 25'0" load: 950# v: 165/157/49 range: 725. $8,275; POP: 38, of which 4 were converted from C-145 [NC113, NC19488, NC20762, NC20781] and 3 were impressed into USAAF as UC-94 [42-78018, -78020, -107400]. SEE Cessnas in the USAAF. C-165D Airmaster 1938 (ATC 701) = 175hp Warner Super Scarab. POP: 3 (NC25484, NC32451, NC32453]. C-186F 19?? = Floatplane refitted with skis. No data. CH-1 Skyhook, YH-41 Seneca, NH-41 1953 = 2pCH; 260hp Continental FSO-470; rotor: 35'0" v: 122. 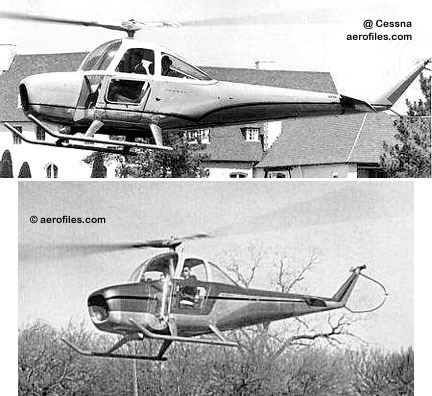 Evolved from Seibel design after Cessna took over that company in 1952, with Charles Seibel as head of their helicopter division. Production did not begin until 1963. Altitude and speed records of 15,000' and 122mph set by CH-1 in 1955 (landing on top of Pike's Peak in the processa helicopter first); CH-1B set another altitude record of over 30,000' in 1957. 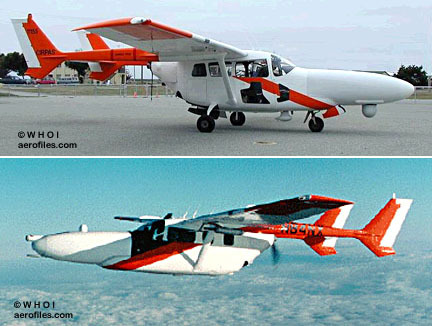 10 were evaluated by Army as YH-41, later NH-41A [56-4236/4245]; 11 received a paper designation as UH-41A and were exported to foreign air forces [62-5845/5848, -12350, 63-9793, -8067/8071]. Citation CJ1 1999 = ClwM reg; two 1900# Williams-Rolls FJ44-1A turbofans; span: 46'10" length: 42'7" load: 4040# v: 560/437/99 range: 1697 ceiling: 41,000'. ALSO SEE 500. Citation CJ2 2001 = ClwM reg; two 2400# Williams-Rolls FJ44-2C turbofans; span: 49'6" length: 47'8" load: 4941# v: 555/472/105 range: 2000 ceiling: 45,000'. Comet 1917 = 4pOmwM; 60hp Anzani. Semi-closed cockpit; full-cantilever shoulder wing. The third plane to be built at the Jones Motor Co plant, and claimed as the first US plane built without wing struts (somehow overlooking the Christmas Bullet of 1912). Set a speed record of 125mph over a distance of 76 miles on 7/5/17. CM-1 1929 = 1pOmwM; 225hp Wright J-5; span: 30'0" (?>36'0") length: 20'10" v: 160-170. Cowled racer built up from a wrecked AW with an A gear and tail; laminated-plywood fuselage. Never successful in competition, finally met its end in a windstorm in late 1929 [X9860]. Shown on one register as Cessna MWa typo or a reference to its mid-wing. CPG-1 1930 = 1pOhwM; 10hp Cleone. 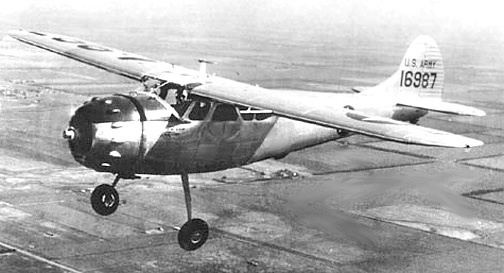 Powered version of CG-2 glider. POP: 1 [344M]. CR-1, CR-2, CR-2A 1932 = 1pOmwM rg; 145hp Warner Super Scarab; span: 18'6" (?>18'0") length: 14'6" (?>14'11"). Eldon Cessna. POP: 1 racer for 1932-33 competitions [NR11717] (p: Roy Liggett, Johnny Livingston). Cantilever wing, cowled motor. Remodeled as CR-2 with 17'0" span, larger tail group, and 125hp Warner Scarab. Refitted with smaller, bumped cowling as CR-2A. CR-3 1933 = 1pChwM rg; 145hp Warner Super Scarab; span: 18'11" length: 17'0" v: 255/x/65. 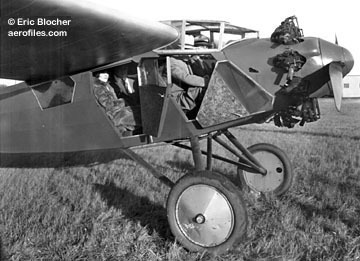 Shoulder-wing with full-span flaps, retractable gear and tailwheel, canopied cockpit. $5,000; POP: 1 cantilever-wing racer (p: Roy Liggett, Johnny Livingston) for the 1933 Miami race and the Nationals [NR57Y]; destroyed in a crash before the Nationals. Crane (Canada) 1940 = RCAF version of T-50 (qv); two 245hp Jacobs L4MB. $30,825; POP: 610 Crane I/II. 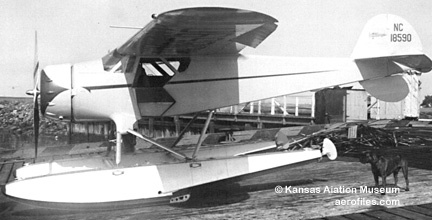 CW-6, CPW-6 1928 = 6pChwM; 220hp Wright J-5; span: 43'0" length: 20'4". POP: 2 [6446, R9855], the latter as 2p CPW-6 endurance racer with 450hp P&W Wasp and 600-gallon tanks (p: Art Goebel). DC-6 1929 (ATC 207) = 4pChwM; 170hp Curtiss Challenger; span: 40'8" length: 27'11" load: 1221# v: 130/105/48 range: 575. Smaller version of CW-6. $9,200; POP: 1 [NC9867], sold to Mexico. DC-6A Chief 1929 (ATC 243) = 300hp Wright J-6; span: 41'0" length: 28'2" load: 1248# v: 155/130/54 range: 600. $11,500; POP: 24, of which 4 impressed by USAAF in 1942 as UC-77 [42-38290, 42-46637/46639]. SEE Cessnas in the USAAF. DC-6B Scout 1929 (ATC 244, 2-221) = 250hp Wright R-760; load: 1229# v: 148/120/52 range: 685. $10,000: POP: 25, of which 4 to USAAF in 1942 as UC-77A [42-38292/38295], and 10 as aerial newspaper carriers under (2-221). 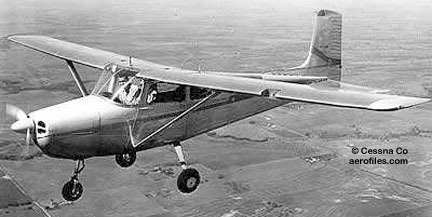 EC-1 Baby Cessna 1930 = 1pChwM; 26hp Cleone; span: 34'11" length: 20'4" Eldon Cessna, modifed from his CG-2 glider. POP: 2 [133V c/n 77, 199V c/n 71]. EC-2 Baby Cessna 1930 = 30hp Aeronca E-107; load: 455# v: 86/70/38 range: 200. POP: 2 [403W c/n 251, 405W c/n 253]. 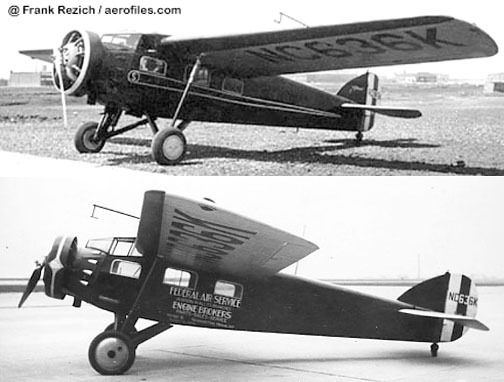 FC-1 1928 = 2pChwM; 90hp Cirrus Ensign. 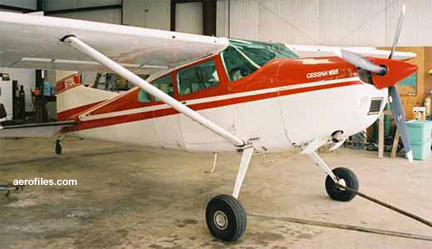 Eldon Cessna. POP: 1 [138V c/n 248]; another appeared briefly on some lists as , a misinterpretation of c/n for the registration. GC-1 1929 = 1pOmwM; 95hp Cirrus Ensign; span: 27'0" length: 21'0". Eldon Cessna. POP: 1 racer for 1930 Cirrus Air Derby and Nationals [R/NR144V] Miss Blackwell. GC-2 1930 = Identical to GC-1, but with 110hp Warner Scarab and length: 20'5". POP: 1 racer [NR404W]. H-41 Seneca 1956 = POP: 10 as YH-41 [56-4236/4245], redesignated as NH-41A. Set three world altitude records of 30,355' over Kansas on 12/28/8 (p: Capt James Bowman). H-41A 1956 = POP: 5 to Iran [63-8067/8071]; 5 to Guatemala [62-5845/5848, -12350]. JRC 1942 (ATC 722) = USN version of T-50 as JRC-1. L-19, O-1, OE-1 Bird Dog - Liaison, AA spotter, utility lightplane. 2pChwM; span: 36'0" length: 25'10" load: 786# v: 151/104/53 range: 530. Developed from model 305. Redesignated O-1 in 1962. Also built under license in Japan, 1957. L-19A, TL-19A, O-1A 1950 = POP: 2,130 to Army, 190 to Natl Guard, and 20 to USAF [-16428/16462 [50-1327/1744, 51-4534/5109, -7286/7481, -11912/12911, -16864/16973, 53-0508/0532, -2873/2878, -7698/7717, -7968/8067], plus 60 to USMC/USN as OE-1A/ O-1G [133782/133816, 136887/136911, 156680/156685]. Also 13 exports to MDAP and 6 to Chile. TL-19A was used as navigation trainer. XL-19B 1952 = 210hp Boeing XT50 turboprop. Set lightplane altitude record of 37,063' in 1953. $17,050; POP: 1 [52-1804]. XL-19C 1953 = Continental Turbomèca XT51-T-1 turboprop. $18,000; POP: 2 [52-6311/6312]. O-1C 1963 = POP: 2 to USN [144663/144664] (as original OE-1s) and 4 exports to South Korea [63-12741/12744 ex-USN 151776/779], plus redesignated OE-2s. TL-19D 1956 = Army navigation trainer. POP: 310 [55-4649/4748, 57-2772/2981]. L-19E, O-1E 1957 = 213hp Continental O-470-11. POP total: 3,430 [56-2467/2696, -4034/4038, -4161/4235, 57-1606/1609, -5983/6028, -6268/6277, 61-2955/3024, 62-12280/12288, 63-12745/12758], included 2 to USAN exports to MDAP (Austria, Italy, and Thailand), Canda and France, plus 42 civil versions built from new surplus parts 1962-79 by Ector Aircraft Co, Odessa TX as Ector 305. OE-2 (Model 321) 1955 (TC 3A11) = Model 321 to USMC/USN with 265hp O-470-2. POP: 27 to USMC [140078/140102, 148250/148251], of which some diverted to USN. Redesignated O-1C in 1962. L-27, U-3 Administrator - USAF liaison and utility version of 310 with similar data. Nickname "Blue Canoe" for its special color. L-27A, U-3A 1957 = Two 240hp Continental 0-470-M; span: 35'9" (?>36'11") length: 27'0" v: 240 range: 1300 ceiling: 19,000'. POP: 160 [57-5846/5925, 58-2107/2186]. Redesignated as U-3A in 1962. L-27B, U-3B 1967 = All-weather ops with two 260hp IO-470-D; length: 29'7" v: 230 ceiling: 21,500'. POP: 37 [60-6047/6081, 67-14860/14861]. LSA Sport 2006 = 2pChwM; 100hp Rotax 912S; span: 30'0" v: 127; ff: 10/13/06. First major manufacturer's tri-gear entry into FAA's Light Sport Aircraft classificaton (max seating: 2, max gross wt: 1320#, max v: 138.9 mph). O-2 Skymaster - 337 as observation plane for USAF and Army. 4pChwM rg; two 210hp Continental IO-360-D tractor/pusher; span: 38'2" length: 29'9" load: 1925# v: 206/196/x range: 780-1000 ceiling: 20,300'. Exports to Iran and Vietnam. O-2A 1967 = Wing pylons for rockets, flares, 7.6mm miniguns, or other light ordnance. POP: 398 [67-21295/21439, 68-6857/6903, -10828/10872, -10962/11070, -11122/11173]. O-2B 1967 = POP: 30 [67-21440/21470]. O-2TT 19?? = Twin turboprop-powered version. P-7 1942 = Trainer. 5pChwM rg; two 330hp Jacobs L-6MB. POP: 1 prototype based on T-50 for USAAF evaluation [NX24176]. P-10 1941 = Advanced bomber trainer. 2pClwM rg: two 330hp Jacobs. Side-by-side seating; full-vision, sliding canopy. POP: 1 [NX34751]. P-260 1943 = Company prototypes for C-106 [NX24176, NX44600]. P-780 1945 = 5pChwM with 245hp Jacobs R-755. POP: 1 prototype of 195 series [NX4681]. Silver Wings (Rago) 1912 = 1pOmwM; 25hp Anzani. 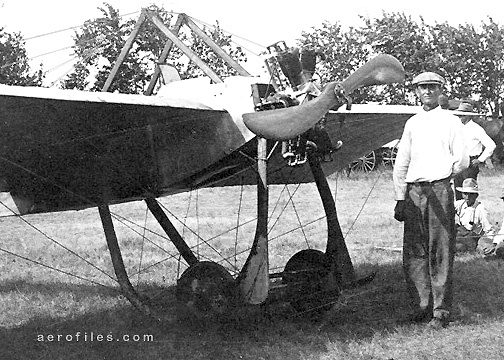 Clyde Cessna; his second plane, also patterned after the then-popular Blériot. POP: 1. From 1911-25 Cessna built 15 planes for himself; it wasn't until the fall of 1916 that he finally made one to sell to the owner of Jones Motor Co, who provided Cessna space in his Wichita factory. Skycatcher (Model 162) 2007 = 2pChwM; 100hp Teledyne Continental O-200D; span: 30'0" length: 22'9" load: 490# v: 136/128/x range: 448-540 ceiling: 15,500'. Stick-type controls, basic "glass cockpit.="
T-37, AT-17 - USAF advanced trainer. 2pCmwM rg; span: 33'10" length: 29'4" v: 350 range: 600. Side-by-side cockpit with ejection seats. Based on 318. Became USAF standard for pilot training in Apr 1961, and about 1,000 were built in total. SEE ALSO A-37. XT-37 1954 = POP: 2 with prototype 920# Continental-Turbomèca YJ69-T-9 [54-716/717], and 1 with J69 [54-718]; ff: 10/12/54 (p: Bob Hagan). No performance data. T-37A 1955 = Production version of XT-37; ff: 8/27/55. POP: 416 (?>444) [54-2729/2739, 55-2972, -4302/4321, 56-3464/3590, 57-2230/2352, 58-1861/1977, 59-241/390], of which 3 to Army in 1957 for testing [56-3434/3436]. All were upgraded to T-37B. T-37B 1959 = Two 1025# Continental J69-T-25 turbojets; span: 33'9" length: 29'3" load: 2512# v: 426/368/x range: 870 ceiling: 35,100'. POP: 552 [60-071-200, 61-2494/2508, -2915/2919, 62-5950/5956, 64-13409/13428, -13433/13470, 65-10823/10826, 66-7960/8006, 67-14730/14768, -22240/22262, 68-7981/8084], of which 37 modified with more powerful engines as light attack models. 1962 models were redesignated as AT-17D, then YA-37A. Exports as new and ex-USAF ships to Cambodia (4), Chile (20), Colombia (4), Greece (8), Jordan (15), Pakistan (24), Peru (32,) South Vietnam (24); additionally 47 to West Germany AF, but operated in training in the US with USAF insignia. T-37C 1962 = POP: -- [62-5926/5949, -5957/5975. -12485/12506, 63-9818/9851, 64-13429/13432, -17985/17999, 66-13611/13621, 67-22542/22547, 69-7068/7072, -7285, -7596/7600, 70-1957/1961, 72-1359/1369, 73-1685/1698, 75-662/668]. Exports to Brazil (65), Burma (12), Chile (12), Colombia (10), Greece (24), Pakistan (39), Portugal (30), South Korea (25), Turkey (50). 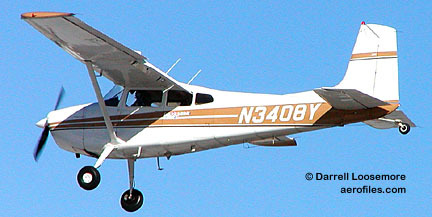 T-41 Mescalero - USAF primary trainer version of 172. Cessna T-41 (AETC) T-41A 1965 = 145hp Continental O-300-C; span: 36'2" length: 26'6" v: 138/x/46 range: 540 ceiling: 13,100'. POP: 170 [65-5100/5269] from civil [N5100F/5269F], and 67 [66-8007/8032, 67-14959/14992, 69-7743/7749]. T-41B 1967 = POP: 55 [67-15000/15254]. T-41C 1968 = POP: 45 [68-7866/7910] from civil [N7866N/7901N], and 7 [69-7750/7756]. T-41D 1968 = POP: -- [68-8944/8977, 69-7181/7200, -7274/7279, -7675/7692, 70-1592/1607, -1962, -2021/2027, -2037/2061, -2456, 71-1458/1467, -20940/20943, 72-1334/1336, -1384/1385, -1408/1437, -1470/1475, 73-1579, -1659/1663, 74-1724, -2093/2096, -2113, 75-732/734, 76-1608/1610]. T-50 (Bobcat) 1939 (ATC 722) = 5pClwM rg; two 225hp Jacobs L-4; span: 41'11" length: 32'9" load: 1500# v: 195/191/55 range: 750; ff: 3/26/39 (p: Dwane Wallace). Repowered with 245-300hp Jacobs R-755. POP: 43, plus military contracts for AT-8 and -17, and UC-78/-78A (impressed) and JRC-1. Bobcat designation came in 1941. To RCAF as Crane. T303 19?? (TC A34CE) = No data. U-17 - Military version of 185 Skywagon. Exports to Ethiopia, Greece, Guatemala, South America, South Vietnam, Turkey. U-17A 1963 = 260hp Continental IO-470-F; span: 36'2" length: 25'9". POP: -- [63-9692/9697, -9794/9809, -13005, -13015/13039, -13135/13138, -13279/13285, -13594/13600, 64-14867/14869, -15433/15459, -17796/17797, -17905/17948, 65-10827/10854, -12678, -12734/12737, -12908/12913, 66-8033/8038, -8531/8549, -13263/13277, -13297/13314, -13527/13532, -13563/13570, -14421/14427, 67-14497/14502, 70-1443/1534]. U-17B 1967 = 300hp Continental IO-520-D. POP: -- [67-14542/14543, -22518/22541, 68-8936/8943, -10538, 69-7304/7312, -7539/7545, -7670/7674, 70-1623, -2036, 71-1039/1050, -1422/1457, 72-1357/1358, 73-1616/1625]. U-17C 1965 = 230hp Continental O-470-L. POP: 23 [65-12770/12771, -12801/12814, 67-14580/14581, -14602/14603, 70-1624, -2034/2035]. UC-77 - Military version of civil C-34, C-37, and DC-6. UC-94 - Military version of civil C-165. X-210 1950 = 5p conventional-gear protoype of 210 series with 240hp Continental GO-470. POP: 1. XMC 1971 = "Experimental Magic Carpet" to test advanced aerodynamic concepts. 2pChwM; 100hp Continental O-200-A pusher; span: 32'0" length: 23'0"; ff: 1/22/71. Twin-booms, twin tails, pod fuselage. POP: 1 [N7174C] c/n 674, first as model 1014 without a shrouded prop, then as model 1034 with a shrouded prop; ff: 6/1/72. The ducted prop had a "dual aim of reducing noise levels and increasing propulsive efficiency," but was in fact more noisy since the propeller rpm was doubled. -General Motors Special 1941 = 4pChwM; 175hp 4-cyl GMC X-250. Liquid-cooled experimental on C-145 frame [NX25463].